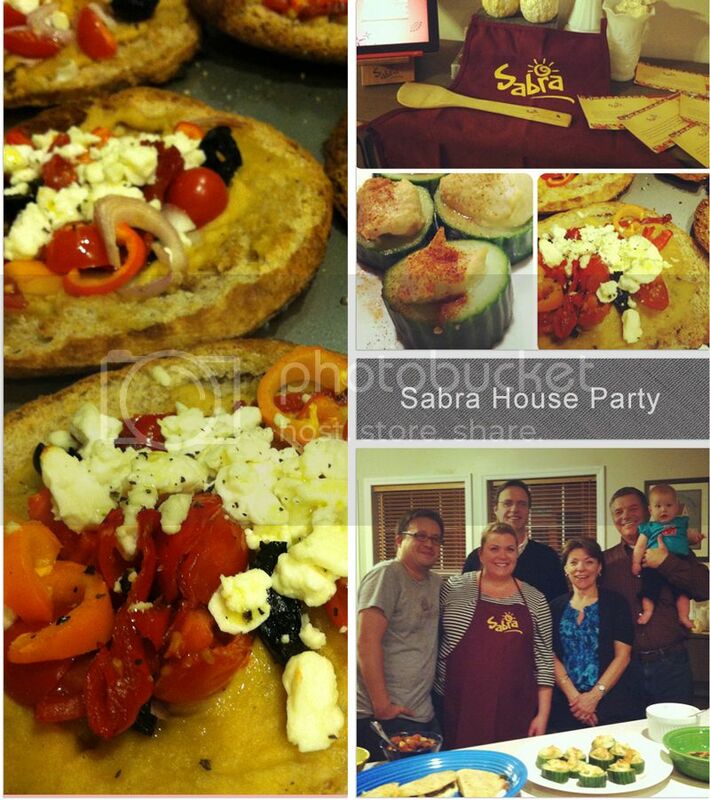 This past weekend I hosted a "Take a dip" houseparty sponsored by Sabra. It was a lot of fun & I pushed myself to make some creative recipes using hummus. Sabra now has Salsa, Guacamole and Greek yogurt dip and I had them all available for sampling, but at the end of the day I am a still a Sabra supremely spicy hummus fan. I have a little giveaway for my readers so stay tuned after the recipes to enter! Split the pitas in half and toast in a 400 degree oven. Flip to toast evenly. Then drizzle with olive oil. Spread a layer of hummus on each pita. Top with the chopped veggies, feta and salt and pepper. Put back in the 400 degree oven for about 10 minutes and enjoy! Slice the English cucumber into 1.5 inch slices and use a melon baller to scoop out the seeds. Fill with a scoop of hummus and top with paprika. Yummy! I have a fun Sabra gift pack to send to one of you. Just leave a comment below & make sure your a google friend that's it! HUMMUS. I am obsessed with Sabra hummus. All of it! Sometimes I just eat it with a spoon, how gross am I? Sabra hummus...NOM NOM NOM NOM! That sounds like my kind of party!